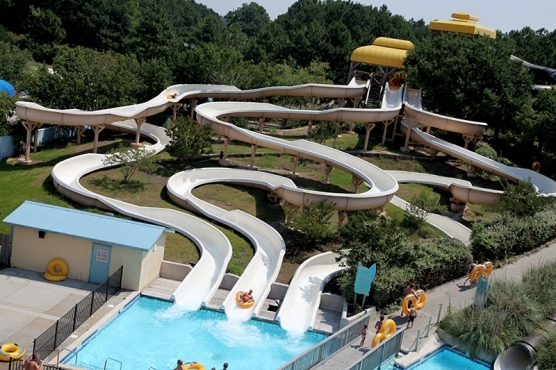 With more than 30 rides and one million gallons of water, Myrtle Waves is South Carolina’s largest water park with over 30 slides and attractions and 1.2 million gallons of water. There are several options for lunch and fun snacks including funnel cakes, pizza and ice cream, as well as souvenirs in our Tropical Trading Post. With twists, turns, rides and slides for all ages, Myrtle Waves Water Park is a cool way to spend a hot summer day. Myrtle Waves also boasts special children’s area and award-winning lifeguards for your safety.